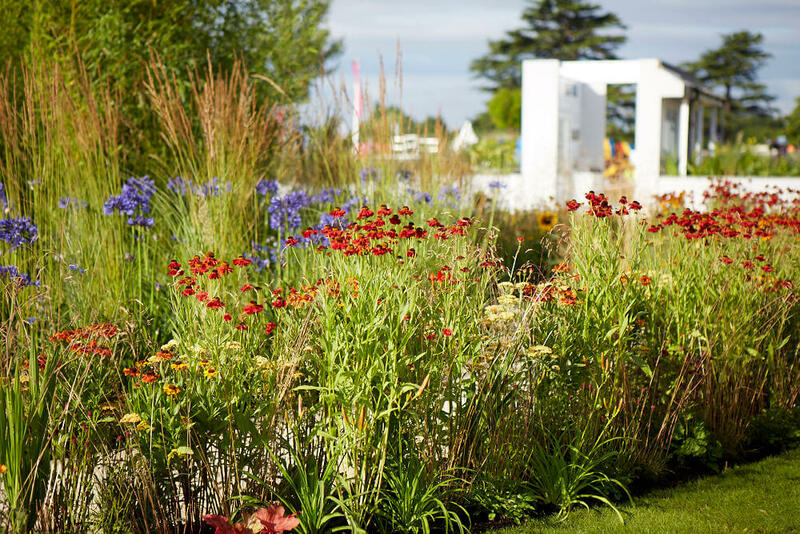 The Perennial Sanctuary Garden, designed by Tom Massey, has been awarded an RHS Silver Gilt Medal at the world’s largest annual flower show. 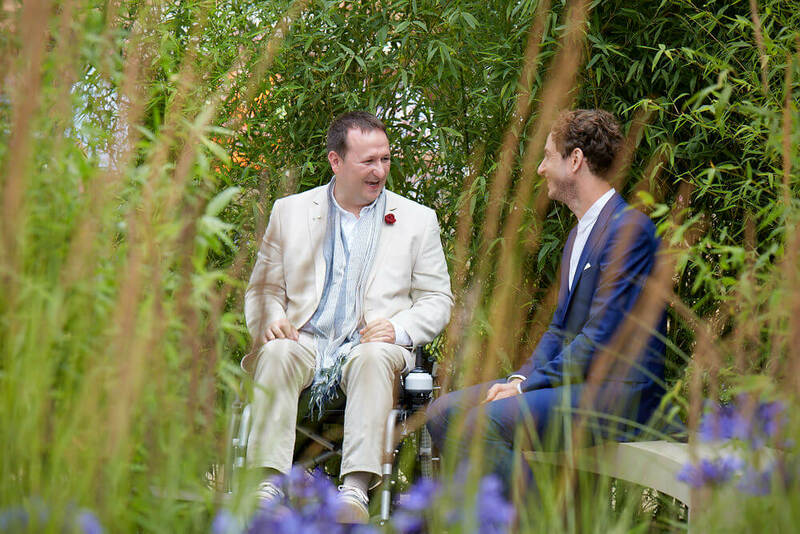 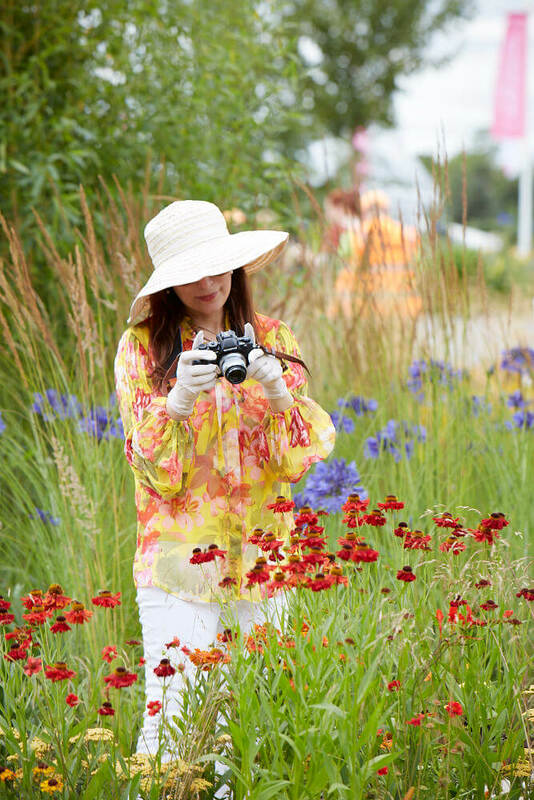 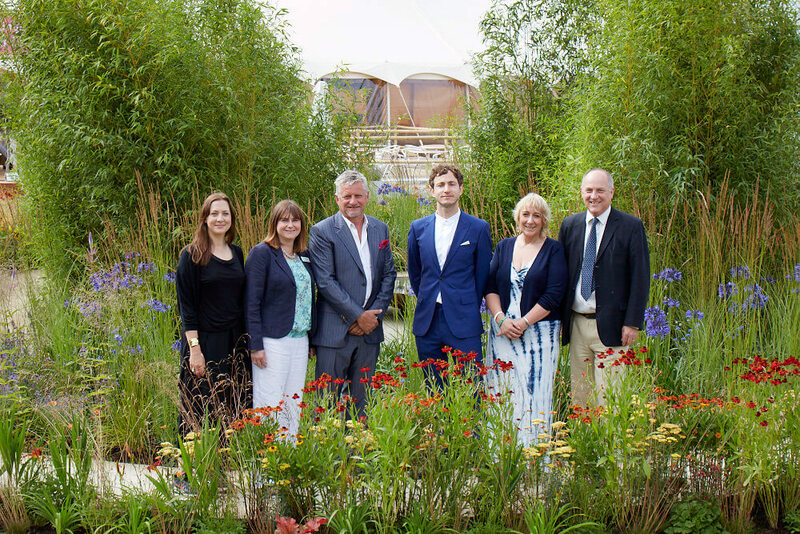 The RHS Hampton Court Palace Flower Show opened its doors today (Tuesday 4 July 2017) and the garden has already had a fantastic response from visitors and the media, helping to raise awareness the UK’s only charity dedicated to looking after horticulturists in times of need. 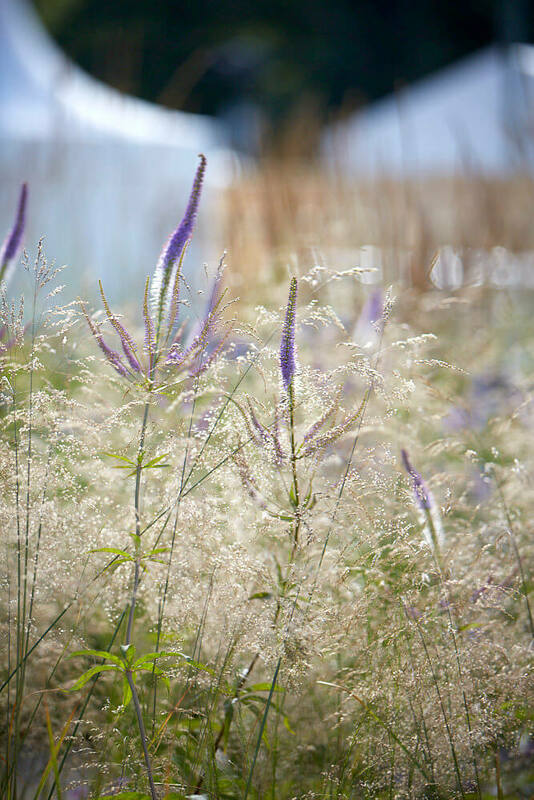 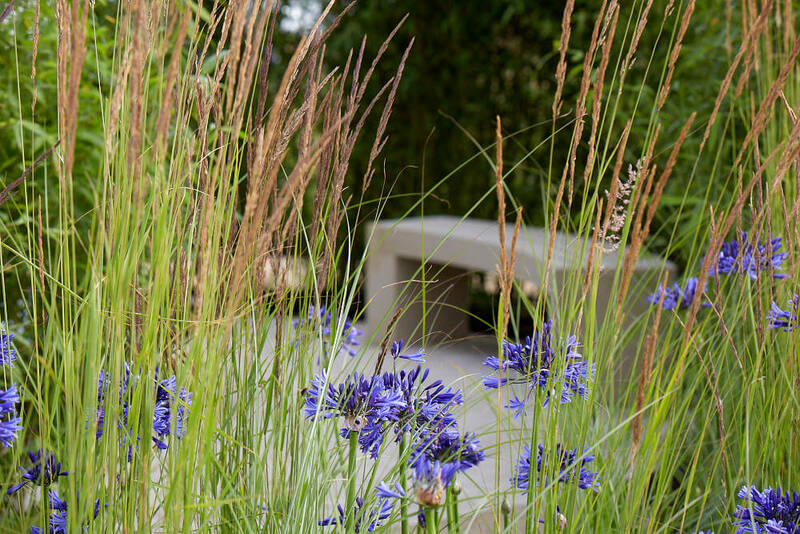 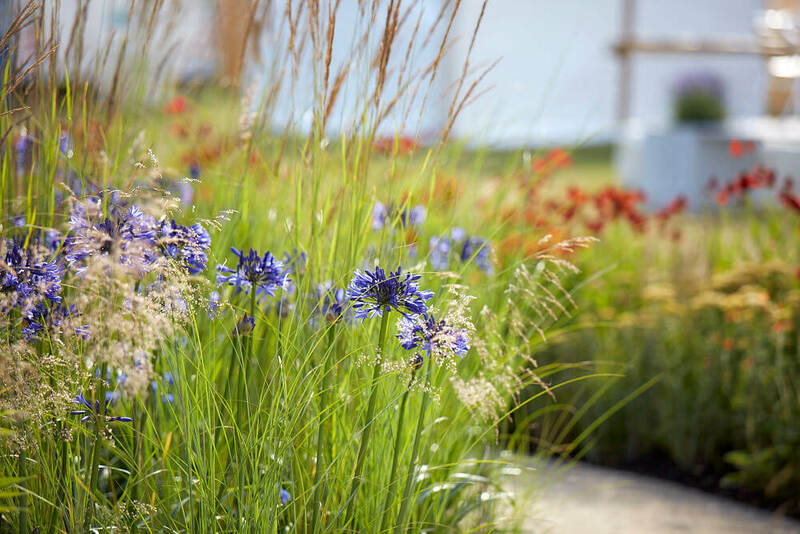 The design takes a spiral form, with a changing colour palette of plants to symbolically represent the journey a Perennial client makes as they overcome difficulty with Perennial’s help. 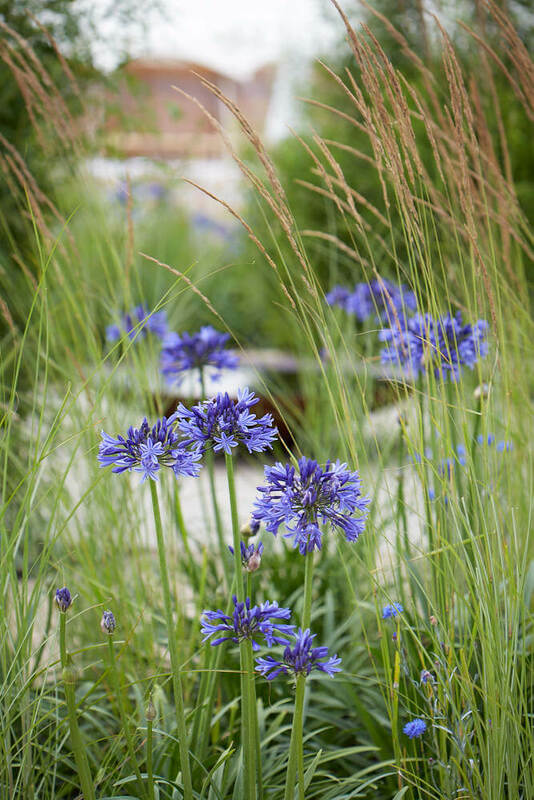 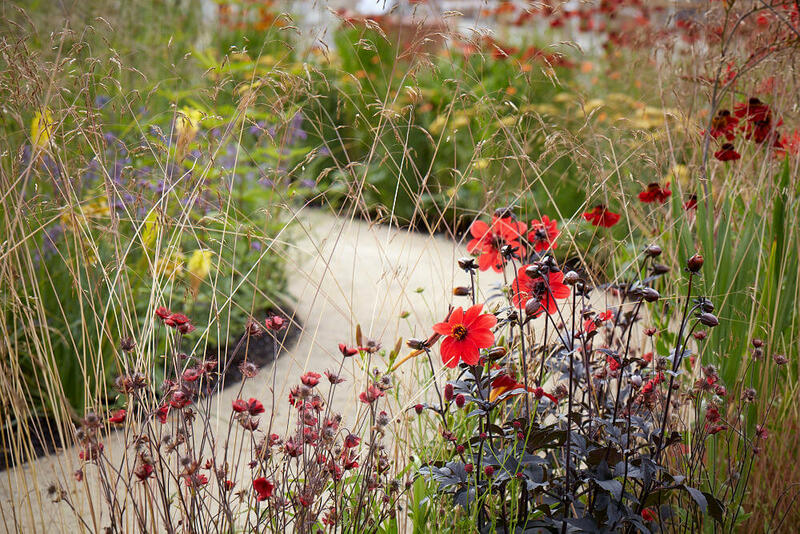 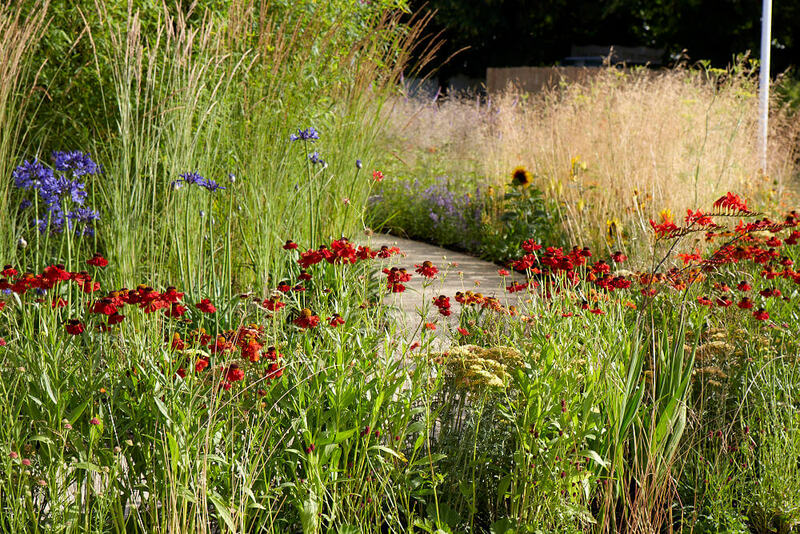 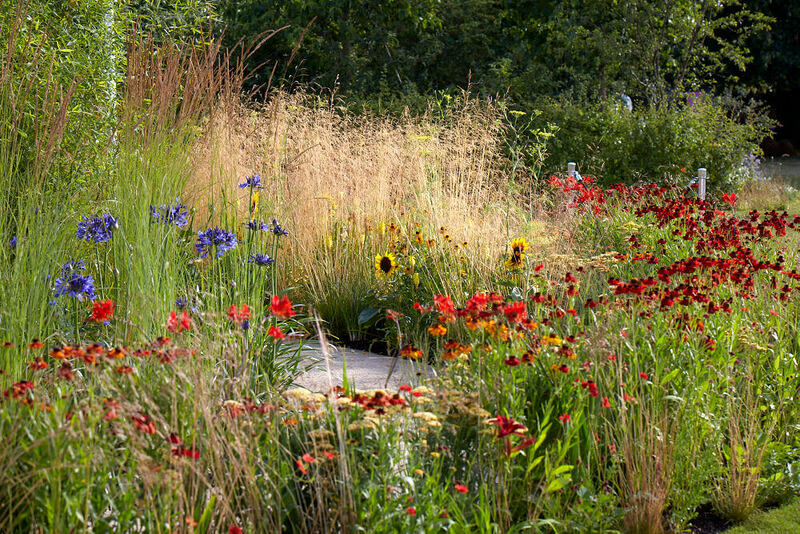 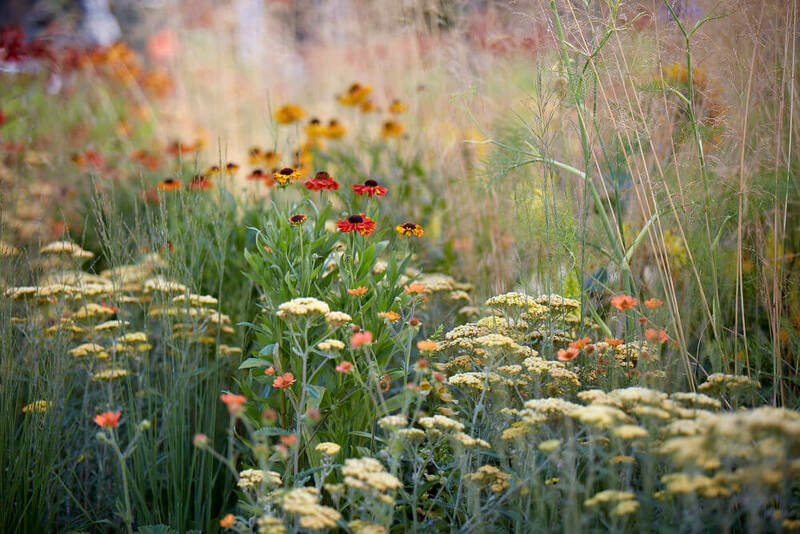 The rich mix of plants blends from vibrant reds and oranges of heleniums, geums and crocosmia at the outer edge through to more restful purples and blues of cornflowers and agapanthus. 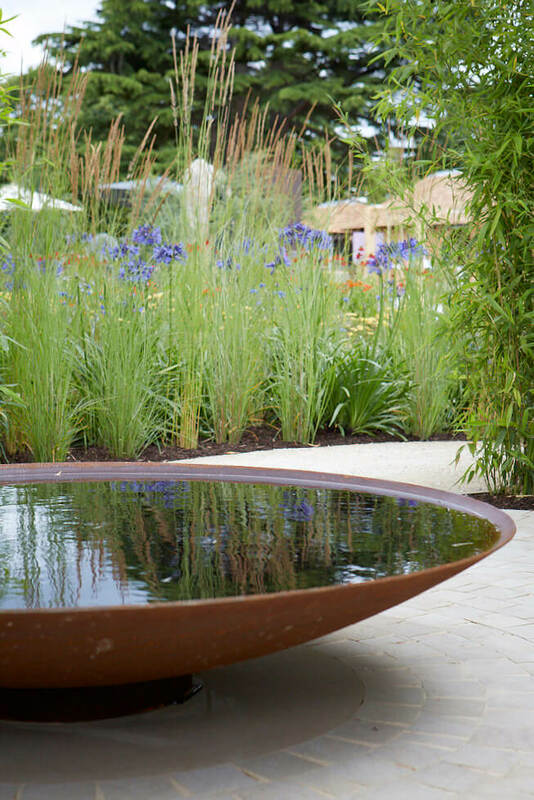 The visitor follows the winding gravel path into the centre of the garden where the planting is simplified to the pure green of towering, single species bamboo that screens the outside world, creating a calm sanctuary around a large reflective water bowl. 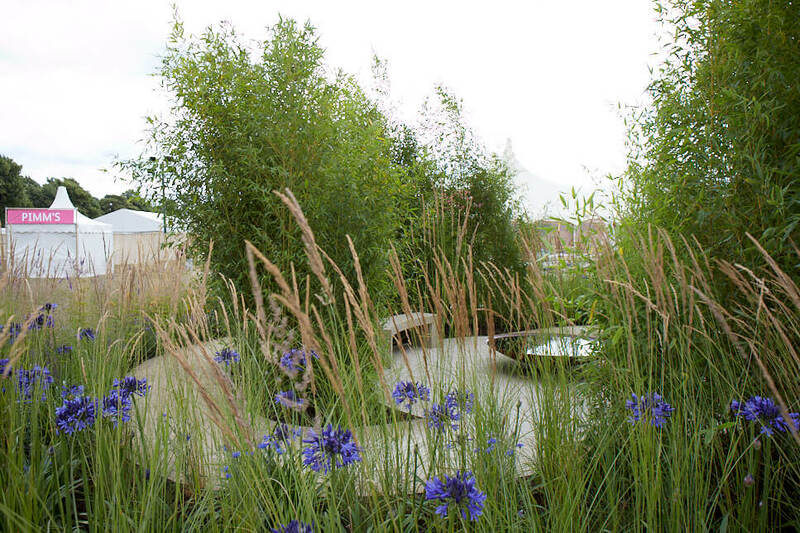 This is one of the few gardens at the show that visitors can actually walk through and enjoy the immersive experience. 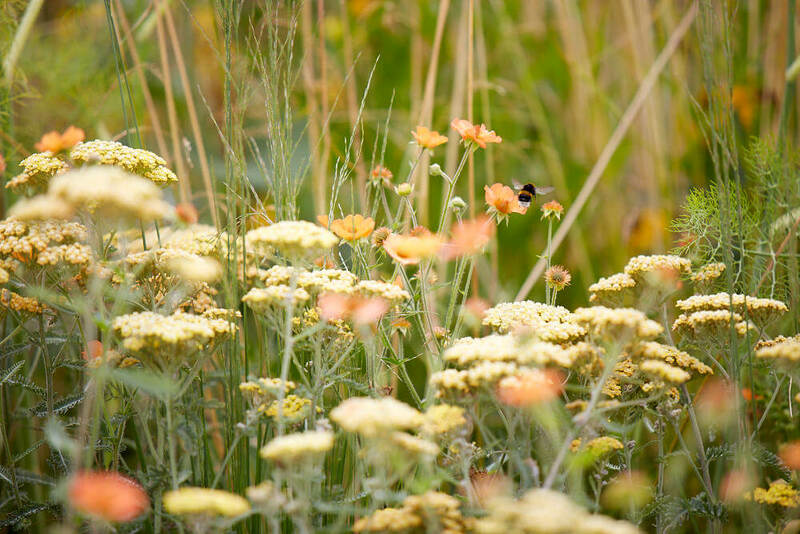 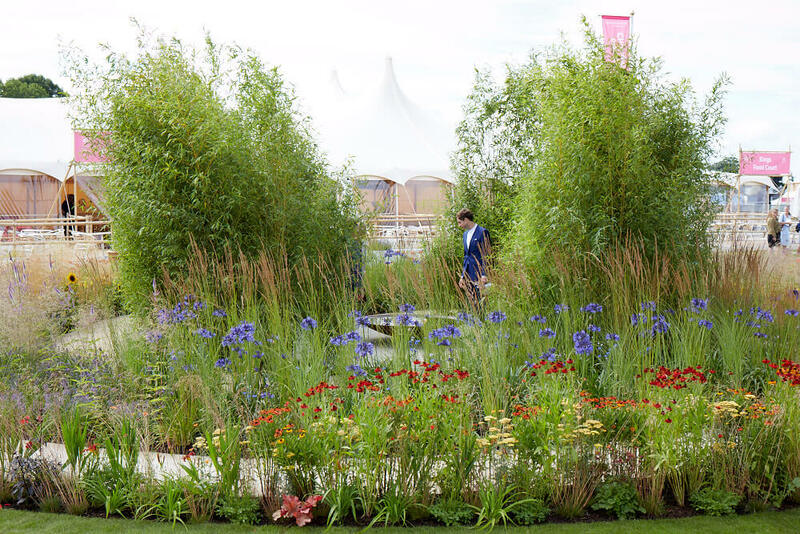 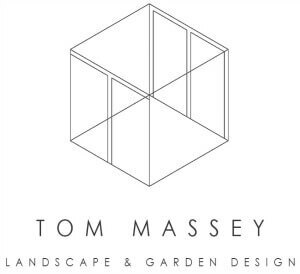 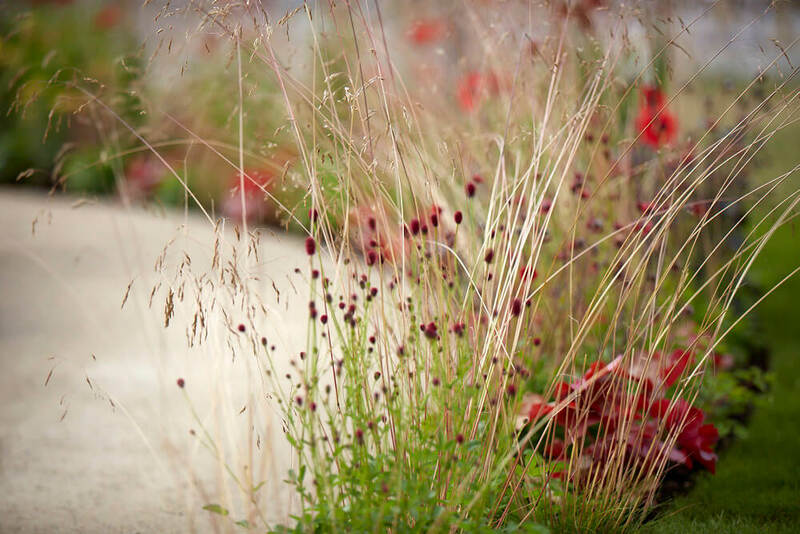 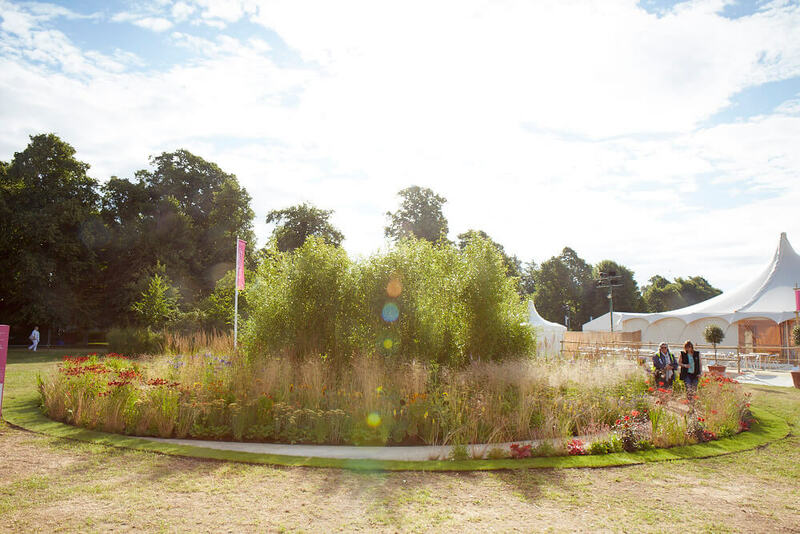 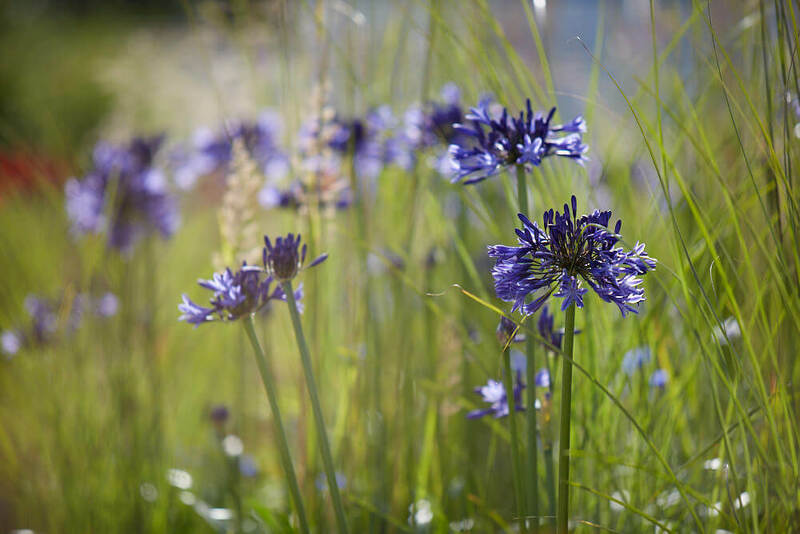 The garden forms part of a new category at the show called ‘Gardens for a Changing World’, which aims to highlight some of the issues being faced in today’s world. 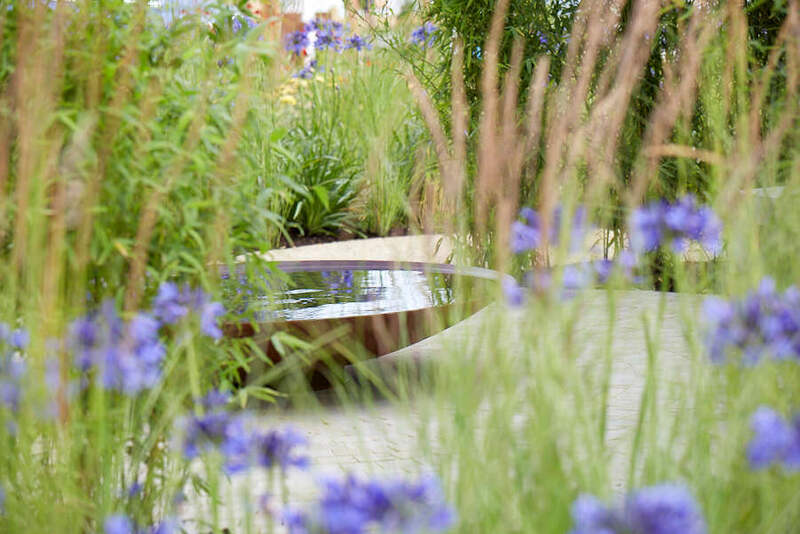 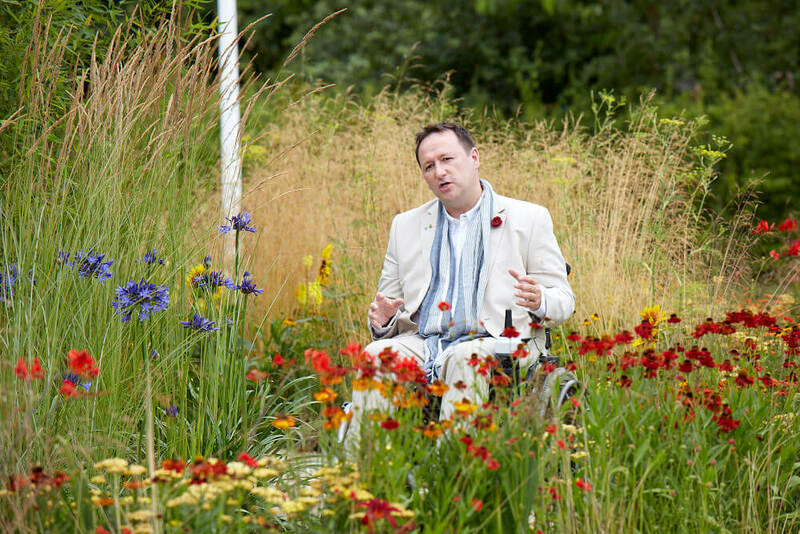 The Perennial Sanctuary Garden reflects the potential pressures and pitfalls that horticulturists can face and how Perennial is there to offer lifeline if they find themselves in times of crisis caused by challenges such as illness, injury, poverty, debt, disability and old age.